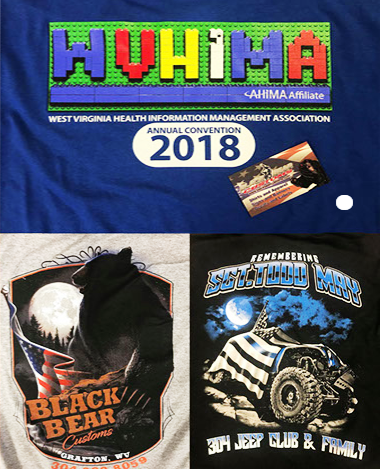 When you're in the market for screen printed or embroidered clothing in Grafton, WV look no further than Black Bear Customs printing services. As design professionals, we take a meticulous approach to perfecting your finished product, considering even the smallest details — from clothing fibers to the possibility of fuzz — in order to ensure the highest level of quality. 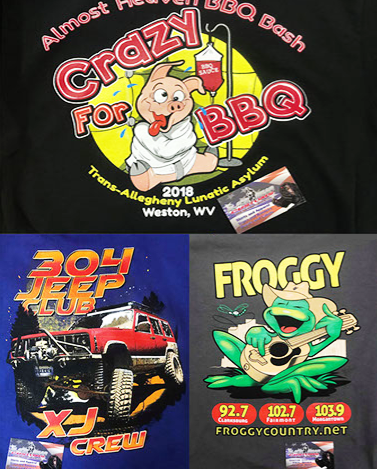 Contact us today for on emobrodiery projects and screen printing in Grafton, WV. Using only the industry's leading printing machine, we provide expert screen printing services in Grafton, WA. We can handle orders of 24 or more items. Thanks to our state-of-the-art equipment, we're able to ensure a polished final product with consistent quality through each item of the order. Staffed by a team of gifted designers, your finished product will showcase creative yet functional design work that you won't find anywhere else. 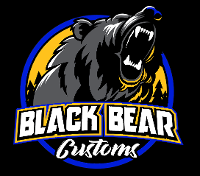 Be on the lookout for Black Bear Customs at grassroots festivals, trade shows, and other events throughout West Virginia starting in the spring of 2019. At these events, you'll be able to see the quality of our items before placing an order.